I have been keen to learn some sashiko stitching for a while. Sashiko is from Northern Japan, and means “little stab”. Simple stitches are used to make intricate designs. Traditionally white thread is used on blue fabric. 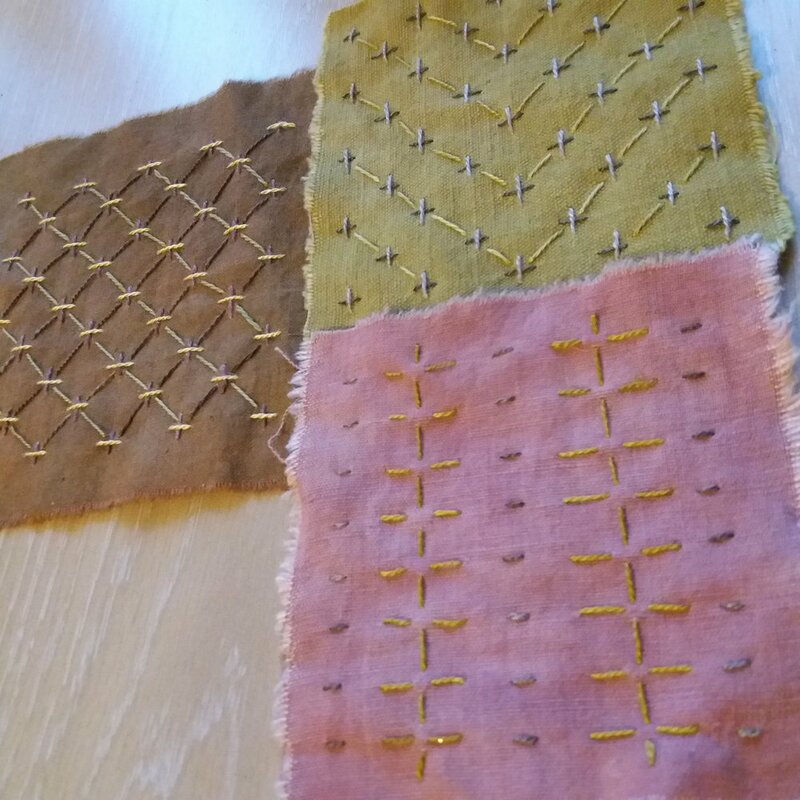 I have used plant dyed fabric and threads, using several colours on each piece. I don’t usually work in this quite measured and controlled way, but am enjoying the patterns that can be created using this technique.